One windblown ’do is ultra-cool at the Stockholm Metro. On the platform, the model&apos;s hair moves in this subway ad as trains go by. See it in action here. 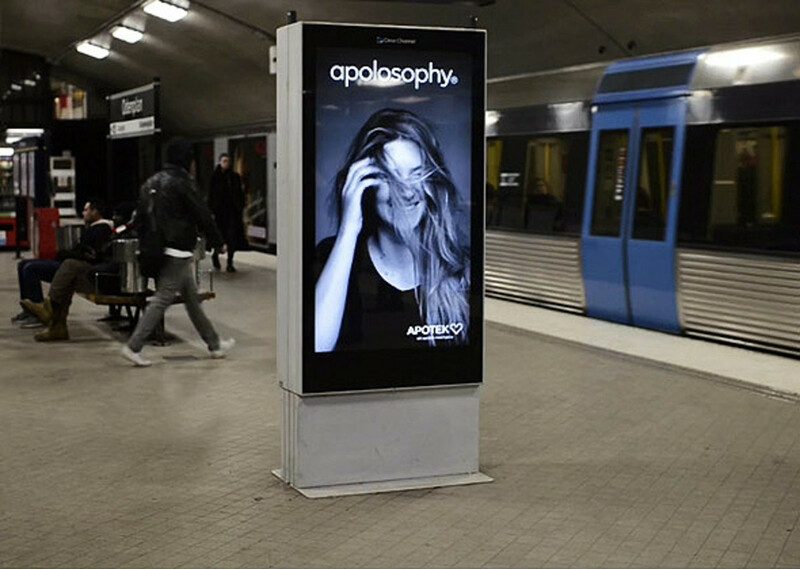 In this high-tech ad by Swedish pharmacy chain Apotek Hjärtat (the Internet says apotek means pharmacy, hjärtat means the heart), the model&apos;s hair whips around in response to the rushing wind of a train entering or leaving the station. The video below explains some of how the model&apos;s hair moves. The TTC subway system could do with this kind of interesting installment (among other things) to make the commute less grueling. Spotted on slate.com by honorary beautygeek Craig MacInnis.